Pictures of yours would be nice. 17" Weld RTS with Hoosier pro streets on rear of a TF. 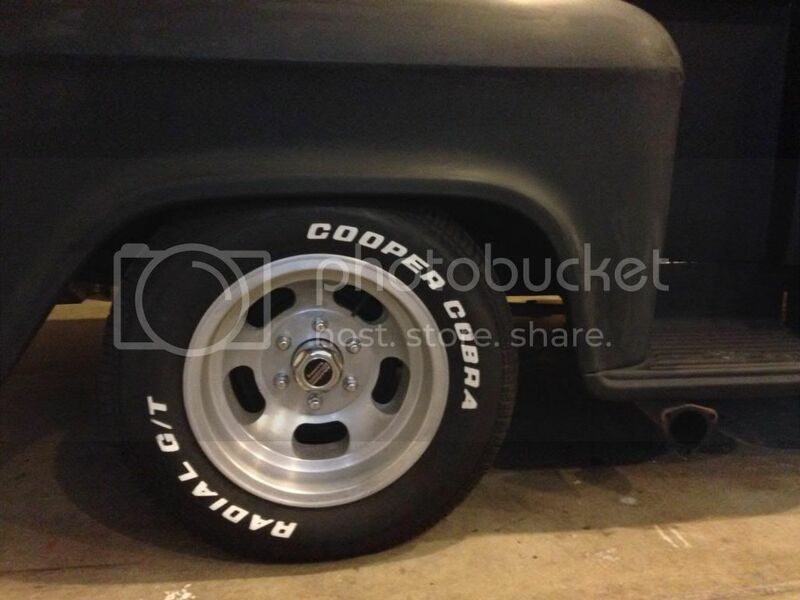 6 lug 15x8.5 aluminum slots with raised white letter coopers. Love them!!! Well these are the wheels that came on my truck! Hardly worth showing off! Like I said I'm looking to purchase new wheels so I could show them off. I owe you mine now, Get Down! It's all good! Are you the one that hit the deer? Nice truck. What is that rear bumper off of? I would like to incorporate one similar utilizing a hidden hitch. Thanks! 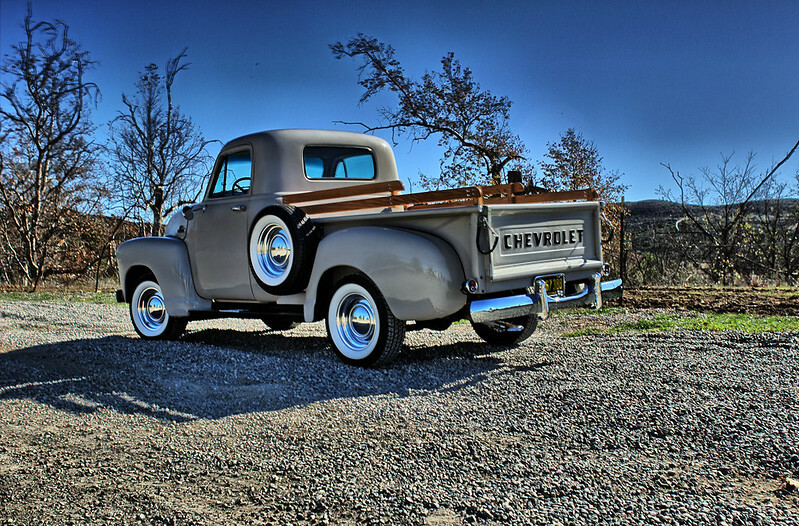 That is the stock bumper (repop in this case) for a 1954-55 (series 1) truck. A link is below. Thanks Yewhi that is what I was thinking but I was not sure. I appreciate the link. Cragar deluxes. Come powered coated black. Diamondback wide whites. Here's mine with eight inch Corvette rallys and American Classic WW's. I really like those wheels! Those Detroit steel wheels look damn good. Great looking wheel combo's every one! 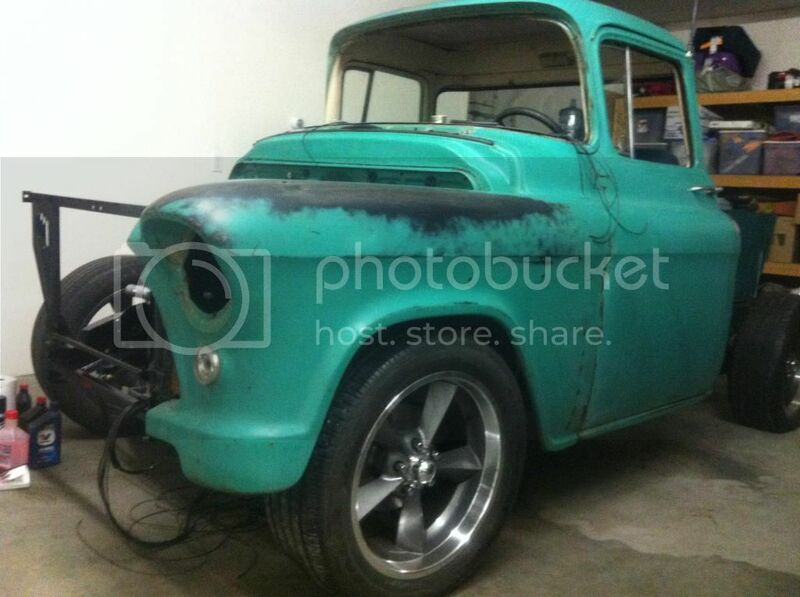 I like blackwalls and here is about as low-buck of a new set of tire and wheels that is possible -LOL! The wheels are the original ones from my '70 GMC Jimmy, hubcaps from a late 80's S-15 scavenged from a crusher pile and the trim rings robbed from a '91 Sonoma I have. Primewell tires cost me 235 bucks and I mounted and balanced them myself with old equipment at work.